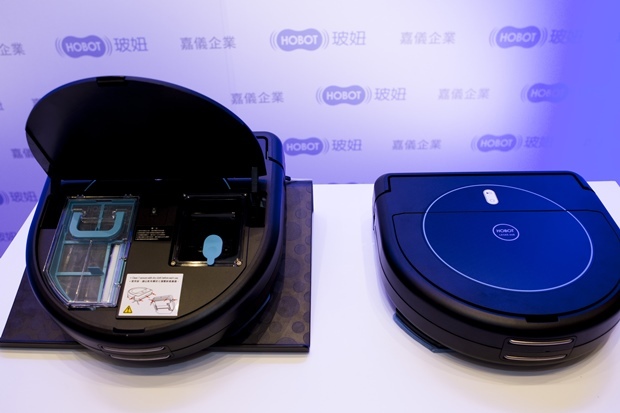 Hobot’s 4-in-1 robot vacuum is manufactured in Zhongli District in Taoyuan. This revolutionary cleaning robot that has vacuuming, dry mopping, auto water spraying and wet mopping functions is the latest product from Taiwan-based Hobot Technology Inc. and the first made-in-Taiwan robot vacuum to hit the market. George Chao, Hobot’s 52-year-old founder and general manager, may be familiar to many people. In 2014, Chao invented the world’s first window-cleaning robot, and despite facing competition from knock-offs in China, the world’s copycat king, it still has been the top-selling “window-cleaning robot” brand on Chinese e-commerce site Taobao, shipping 70,000 to 80,000 units a year. 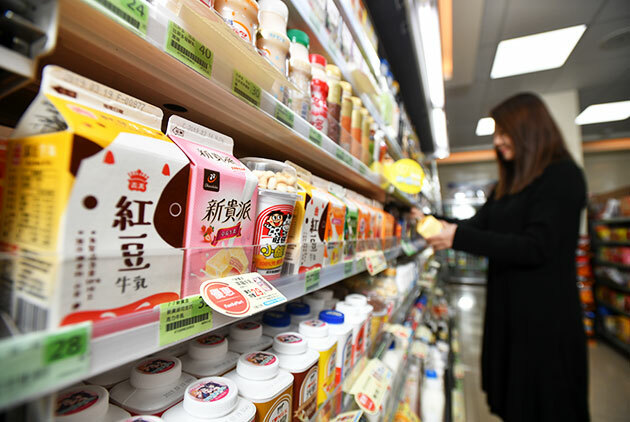 Hobot only has 18 employees at present, but it has now reached an annual revenue milestone of NT$300 million, making it eligible to list on Taiwan’s over-the-counter market. Chao is planning to convert the company’s current office in Zhubei into a new dedicated building. Just over two years ago, a European distributor asked Chao if he could tweak his window-cleaning robot and turn it into a floor-cleaning robot. “Consumers are asking for this,” the distributor told him. The suggestion got Chao excited, but he still had his pride as an engineer and wanted to do something different. “There’s no creativity involved in doing ‘me, too.’ And if you want to earn a fast buck, that’s not how I would do it,” says Chao, who set Dyson founder James Dyson as his benchmark. Though he may not be big in stature, Chao speaks exudes a certain charisma, and the goal he has given himself is to create a new benchmark. Chao graduated from what was then known as Tatung Institute of Technology (renamed Tatung University in 1999) and has a strong technical background in motors and opto-mechanical integration. After working for IC designers ALi Corporation and MediaTek for many years, he decided to start his own business in 2010. But he decided not to venture into the CD-Rom or IC design fields he was familiar with. “I wanted to do some innovative things,” he recalls. The window cleaning robot Winbot was the first of its kind around the globe. Chao showed this new invention to K.E. & Kingstone Co., a Taiwanese distributor of high-end home appliances from Europe and the United States. “When the window cleaning robot was first invented seven years ago, we worked together,” remembers K.E. & Kingstone President William Wen-chong Huang. Chao went to see him at the time to discuss the product’s positioning and how consumers could use it to the best effect. He brought a Winbot he designed to Huang’s house for a test run, and Huang immediately pointed out its strengths and weaknesses, feedback Chao used to revise the design. The initial tests on the Winbot went well, but the device was a failure when it was given a try in Europe and northern China. But his perfectionist engineer personality would not allow him to give up, instead spurring him to fight even harder. He redesigned and retested the unit and finished the software within a week, helping it earn a gold medal at the iENA Germany Exhibition of Inventions in Nuremberg. The Winbot has been sold in more than 30 countries, with China the biggest export market. Hobot founder George Chao (right) and manager Jerry Wu have turned the Winbot into the dominant player in the global window cleaning market. The robot vacuum cleaner market, however, is a fiercely competitive mainstream market, with some 100 companies vying for a slice of the 10 million units sold a year. 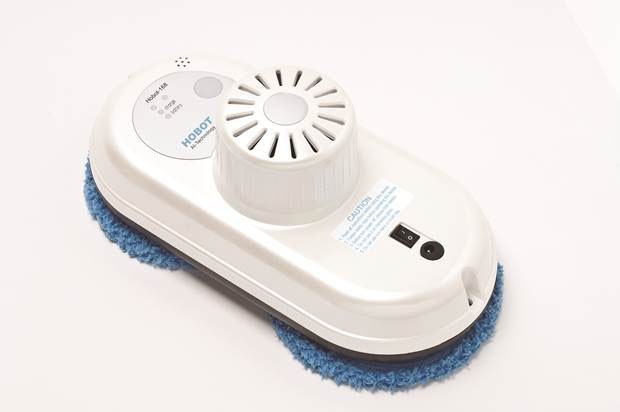 Chao went online to carefully study the top vacuum robots on the market, and discovered they were divided into two types – robots that vacuumed dry surfaces and wet-mopping robots. Ideally, however, Chao felt such a device should allow users to be lazy to the core, and deliver a clean and dry surface without a speck of dust, regardless of its design. Another challenge he faced was finding a way around the patent walls erected by the big players – iRobot and LG. The third challenge was to create a product with a pricing advantage. Chao spent two years on the project, ultimately developing a semicircular robot vacuum cleaner incorporating smart navigation with a suggested retail price of less than NT$15,000, about half the price of devices sold by the leading U.S. brand iRobot. “We got our start as an integrated opto-mechanical system specialist, and our strength was bringing costs down,” Chao says proudly. Chao deconstructed the critical navigation function of the top robot vacuum models and found there to be two major technology camps. One was image-based, the technology used by both iRobot and LG, requiring an image recognition and computing module that costs more than US$20. The other option is the LDS (laser distance sensor) approach, employed by Chinese brand Xiaomi in its Mi Robot vacuum, which relies on an even more expensive module of more than US$30. 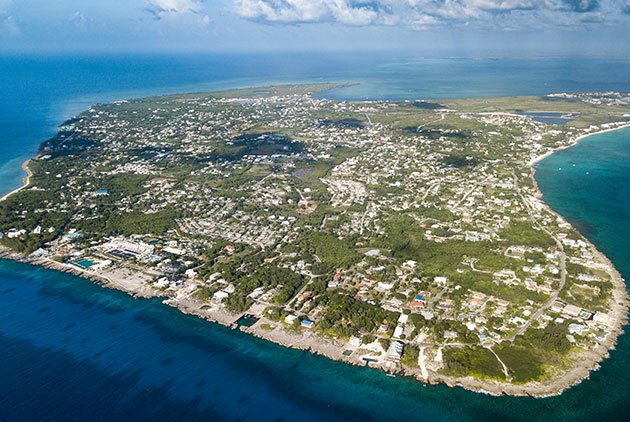 “But we couldn’t use either of those two approaches, because otherwise we would be infringing on others’ patents,” says Hobot technology manager Jerry Wu, who was also a MediaTek engineer before being added to the R&D team after Chao started the company. As a result, Chao decided to rethink the product’s concept and structure. He drew on his strong technology foundation honed over his more than 20 years in the consumer electronics sector to find an alternative based on simple laser ICs used in smartphones to sense and navigate a home environment. Chao equipped the robot vacuum with a total of three lasers – one on each of the two sides of the device and another one in the front – at a total cost of only US$4, but they can detect objects up to two meters away. Also, its algorithm is far simpler than that used with image recognition, further reducing the costs of related components. K.E. 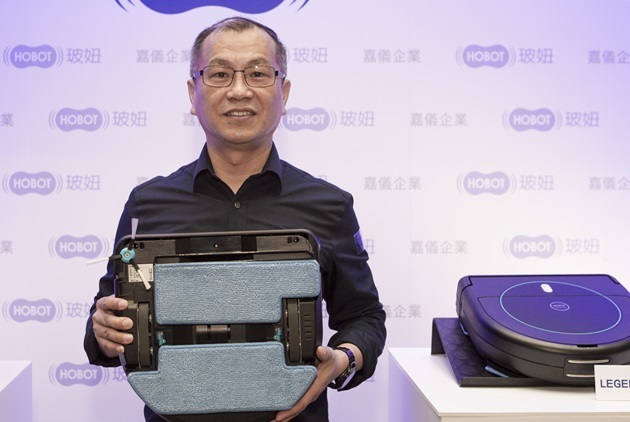 & Kingstone’s Huang is bullish on the Hobot robot vacuum’s future, not just because of its competitive price. 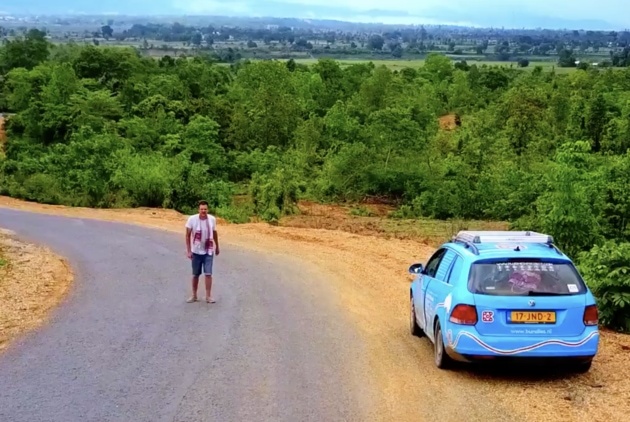 He believes Hobot’s experience in getting its window cleaning robot into more than 30 countries around the world in recent years will prove invaluable. “This time won’t have to be like last time when it took five to six years to create distribution channels,” he says. Taiwanese home appliance brands no longer produce their products at home. 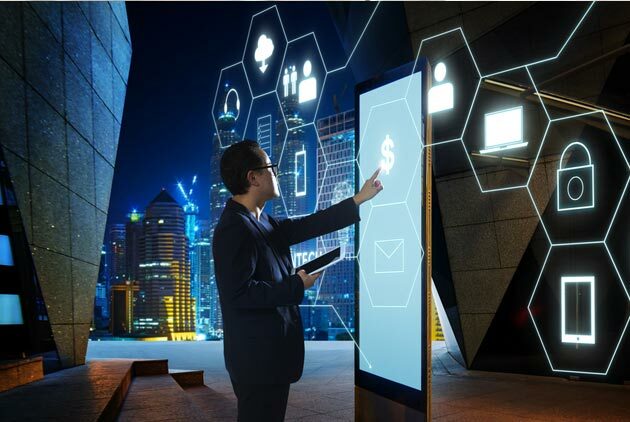 But this “made in Taiwan” brand that sparkled at the Consumer Electronics Show and showcases the uncompromising technological pride of Taiwanese inventor George Chao may be ushering in a new era of home-grown manufacturing.